Just days after the return of the first Grenlec restoration crew from Anguilla, a second Grenlec team has taken their place to continue electricity restoration in Anguilla. Expressing the Company’s appreciation to the volunteer linemen, Collin Cover, General Manager applauded the team for the excellent feedback that the host company has provided about their work. Speaking about their experience, the returning Grenlec team members said they felt a strong sense of personal satisfaction from volunteering to serve the needs of the communities to which they were assigned. 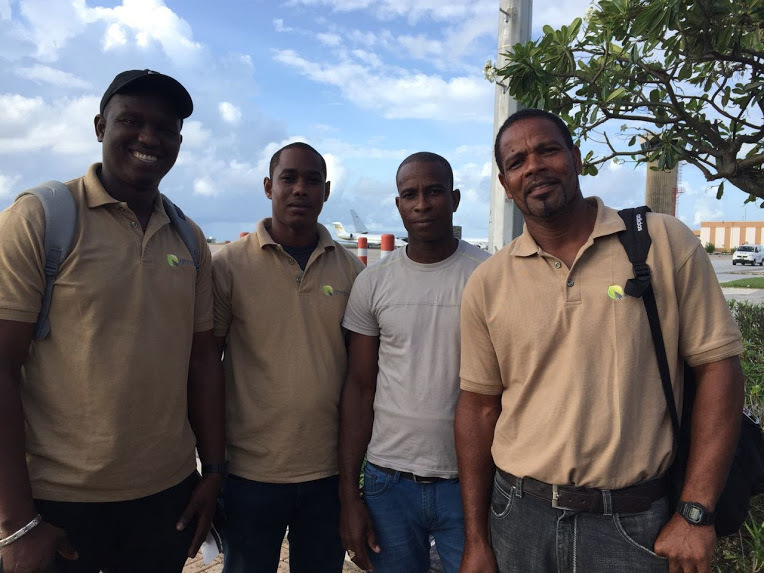 The second Grenlec restoration team dispatched to Anguilla is led by Anthony Thomy and includes Nicholas Williams, Ritchie Farray and Matthew Campbell. 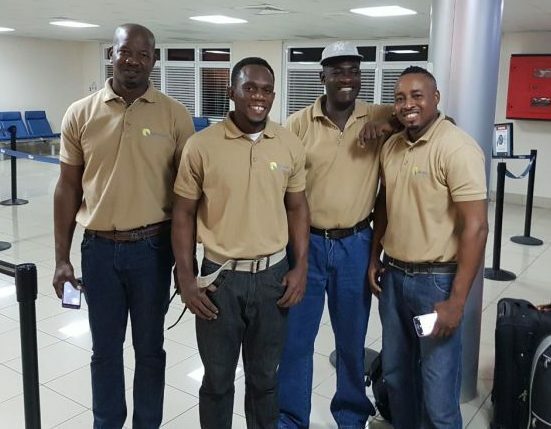 They join the regional restoration efforts already being undertaken by James Nicholas (Team Leader), Jason Clyne, Joseph Jones and Garvin Thomas, who were dispatched by Grenlec on 9 October to assist with restoration efforts in Tortola. Grenlec continues to provide assistance in various ways to the islands that were impacted by Hurricanes Irma and Maria. The Company is also pleased to acknowledge, Grenada Cooperative Bank Ltd., Real Value IGA, St. George’s University, GUT Credit Union, Republic Bank’s staff Association and Public Workers’ Credit Union for contributing much-needed relief items in a container that was shipped to Dominica in October.